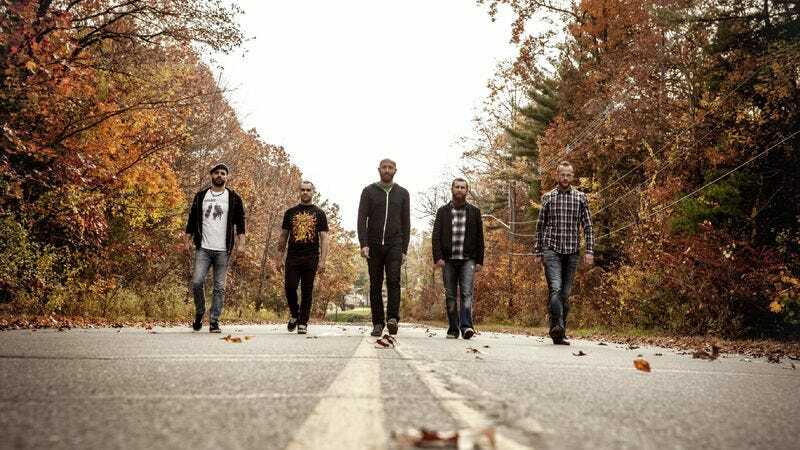 Massachusetts-based metal act Killswitch Engage has a new record on the horizon—Disarm The Descent, out April 2—and is offering fans an evil little glimpse at life inside the recording studio. Shot by directors McFarland And Pecci, New Awakening is a five-part, 30-minute documentary chronicling the making of the record. Featuring interviews, rehearsal and studio footage, and the return of original singer Jesse Leach, New Awakening aims to show fans what life in the studio is like, which is to say both musically enthralling and mentally exhausting.